As the heart of the community, the Town Center is a high priority for residents, local business owners, many civic groups and the City. Its mixed-use walkable environment also makes the Town Center sought-after for future development as the region grows and market preferences change. In recent years, a number of plans and studies have been completed to ensure the Town Center maintains its unique character, while taking advantage of opportunities to improve and expand as a unique community asset. 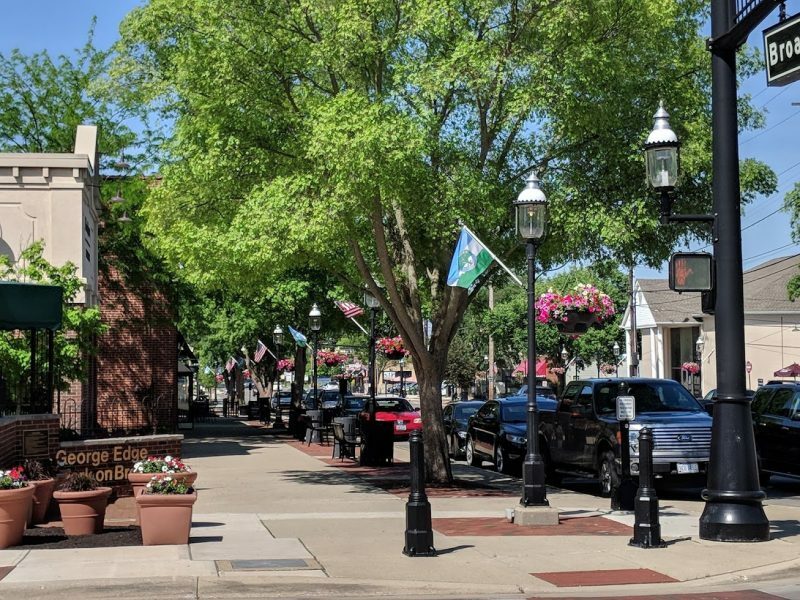 The Grove City Town Center Framework, currently under review by Planning Commission and City Council, builds upon the findings of these past planning studies, while integrating new strategies and objectives based on current development opportunities in the Town Center. The Town Center Framework will serve as a policy guide for the implementation of public realm enhancements, contextual economic development initiatives and infill development proposals that preserve and contribute to the unique history and character of the Town Center. The Framework contains an Illustrative Plan of a potential redevelopment scenario based on the implementation of a mix of land uses with parking ratios appropriate to a mixed-use, walkable environment and is intended to be used as a tool to inform and guide future infill development and redevelopment proposals in the Town Center. For additional information, view a draft of the Town Center Framework or email the Development Department.